The journey from lead to customer and conversion has changed. There’s a new sale funnel in town and it starts with LinkedIn. Yes, it’s true we often associate LinkedIn with recruiters and job offers. However, that said, there’s a reason they do so well. LinkedIn sits on a treasure trove of features that are waiting to be utilised for lead generation. You only have 7 seconds to create a strong first impression. The first thing prospects will see is your LinkedIn profile, so you need to make sure it’s set up for success. Inject personality into your profile and don’t be afraid to brag about your accomplishments. LinkedIn isn’t just for recruiters – you wouldn’t hand a prospect your CV before introducing yourself, so we don’t recommend you do it here. Add links to your company page and your business website, and don’t forget to ask for recommendations to help boost your profile. Finally, make sure that you add a profile photo as well as a catchy description that describes who you are and not just your job title. 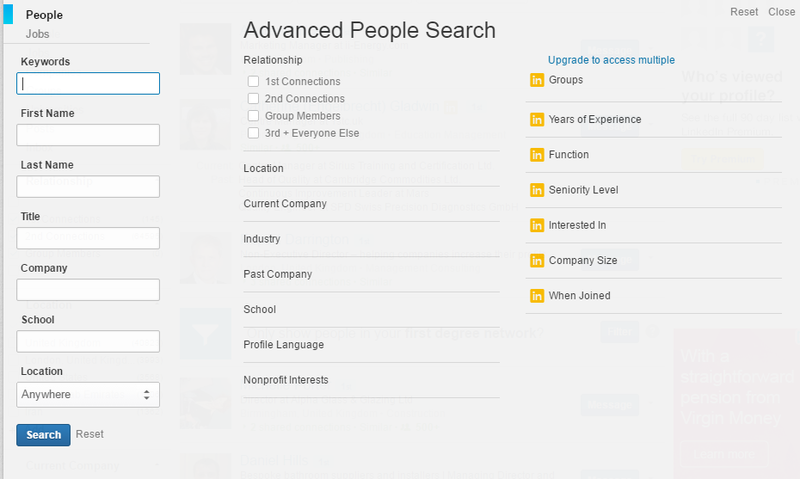 Take advantage of LinkedIn’s advanced search and filters to define a custom audience. Hone in on your target audience by whittling down profession, location and even company. The best part about this? You can save your searches and set up email notifications – LinkedIn will deliver you a weekly digest of leads – pretty nifty! 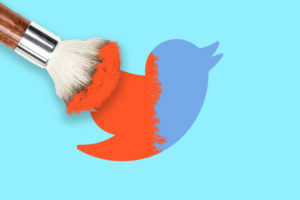 Now that your profile is set up and you’ve defined your audience, you can start to reach out and build your network. Cold calling only has a 2.5% success rate and it’s no secret that senior decision makers are notoriously hard to get in touch with. But that’s where LinkedIn provides a unique opportunity. You can get right to the decision maker without having to sweet talk the gatekeeper. Take the time to create a request tailored to each person and you will get a much better response rate. Note that you only have approx 290 characters here to sell yourself, so keep it concise. You have a chance to warm up your lead before you connect – think of your elevator pitch and how you would introduce yourself. How can you deliver value? 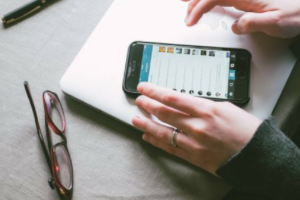 #4 So you’ve connected on LinkedIn, now what? 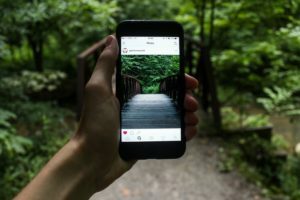 Pay attention to what your prospect is connecting with, the type of articles they’re sharing and more importantly, are they connecting with your competitors? Now you’ve connected, you have the perfect insight to that person and their company. You can follow any updates – any change will provide a good opportunity to get in touch. Use LinkedIn Pulse to keep up to date on the latest news and find out what content interests your connections. As well as highlighting opportunities, you can also develop insights based on the content that is being posted. 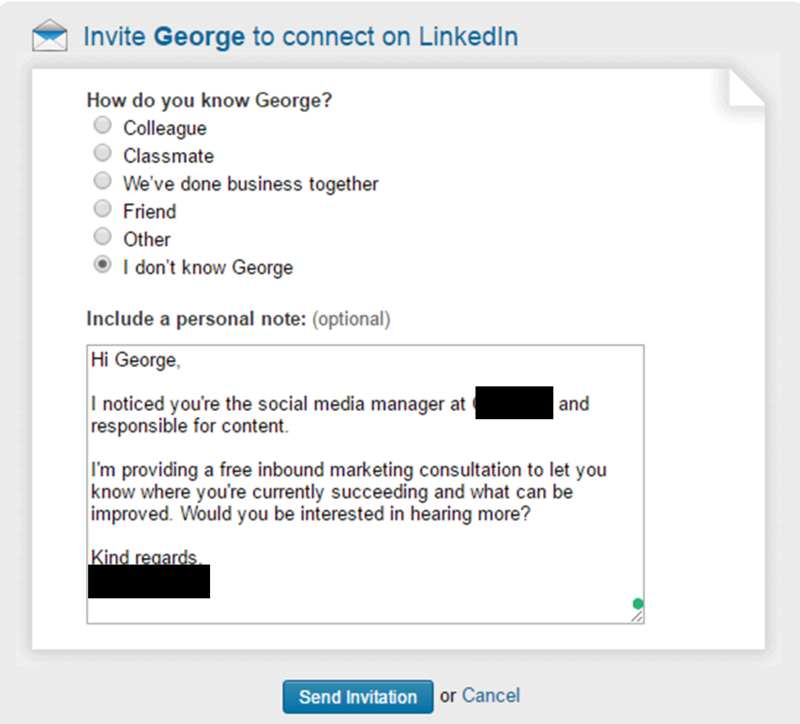 There are, of course, also inbound merits to using LinkedIn Pulse. You can showcase your expertise and establish yourself as a thought leader through publishing articles. People will value your opinion and are likely to come to you if they have a problem. 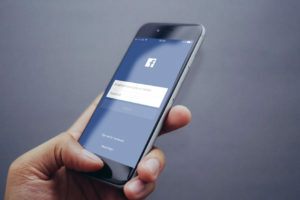 With 90% of top sales professionals using social selling tools, it’s clear to see that networks such as LinkedIn and Facebook are fast replacing previous dated and expensive methods of lead generation. Use LinkedIn to build your sales pipeline and you can qualify your own leads – for free! What are some of your tips for using LinkedIn to prospect?